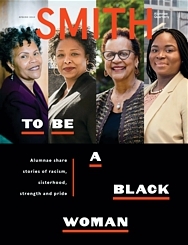 Every alumna who comes back to Smith for Reunion has a story to tell. In this series alumnae reflect on the experiences that have shaped their lives since graduation. How I came to Smith: I was a rebellious, hellacious teenager who was bored by school. None of my family had gone to college, so it wasn’t something I expected to do, and by the time I was 19, I was married with a child. I wasn’t ready for college until my mid-twenties. I started to take art classes in Worcester. Eventually, I decided to get my associate’s degree, and to do that, I had to fulfill a science requirement. Since I had always been afraid of science, I opted for a biology class for nonscience majors. It was self-taught, with a professor available for help if we needed it. I loved it, and found myself asking that professor so many questions that after a while he said, you should study this, and he told me about Smith. First impressions: I was awestruck, dumbfounded when I came to campus to visit. I didn’t know something like this existed. I thought, “People come here to study?” It looked more like a resort. 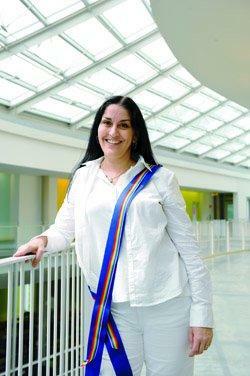 What I learned at Smith: Smith gave me a place to redefine myself. When I was at Green Street studying, I was nobody’s mother, nobody’s wife, just me. Smith gave me a place and space to figure out who I was. Life after Smith: My honors thesis was on the molecular biology of parasitic diseases, and after graduation, I was hired as a research assistant by my honors thesis adviser, [biology professor] Steven Williams. I took a trip to developing nations to do field work. That sparked my interest in field work, and I began flying regularly to fourteen developing countries, including Tanzania, Egypt, and Cameroon. At the same time, I was able to complete my master’s degree at Smith in 1999. Then, as a result of research I was doing in conjunction with Smith’s sister lab at Ain Shams University in Cairo, a professor there offered to have me join their PhD program. So I was able to continue my research and fieldwork as part of my PhD project, which I completed in 2009. My research has coincided with President Obama’s global health initiative to eradicate neglected tropical diseases in developing nations by 2020. How I’d describe my life today: Very exciting. I’ve been awarded a science and technology policy fellowship by the American Association for Advanced Science. I’m waiting for security clearance so that I can join the Department of State in September as a foreign affairs officer. In June I’ll be a delegate to the conference on Global Alliance for the Elimination of Lymphatic Filariasis in Korea. For the remainder of the summer I will be continuing field research in Tanzania and Egypt.